Idol group JYJ (Park Yoochun, Kim Jaejoong, Kim Junsu) have gotten together to release behind-the-scenes photos from the music video of ‘Only One’, their Incheon Asiad song. 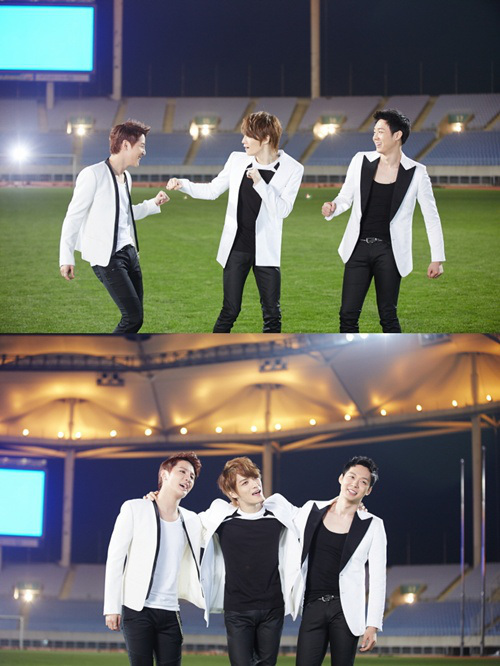 The released photos show the three members of JYJ having fun and enjoying their time filming their music video at the Incheon Munhak Stadium. JYJ’s Incheon Asiad song is one that was created by hit-maker SweetTune, and is a song that everyone across Asia can easily sing along to. ‘Only One’ will be released at noon on the 16th through various online music sites and the Incheon Asian Games committee’s official YouTube channel.